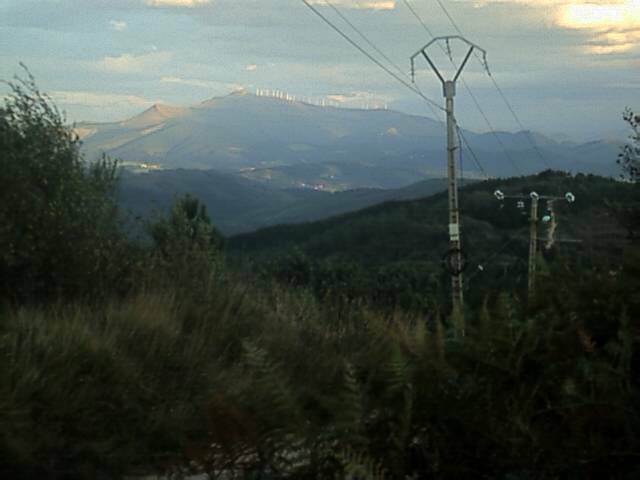 This image shows Oiz from Ganguren, near Bilbao in the Basque country. The windfarm is 23km from the viewpoint. A view of the future? I can generate maps showing areas in the UK that may be affected by specific turbine sites, see sample centred on a location in Devon, England.